In an industry known for being unreliable, a drywall contractor that follows through on their promises is worth their weight in gold. At Custom Drywall, we've been doing drywall for over 28 years, so we know exactly what it takes to get any job done on time, on budget, and to your complete satisfaction. Our drywall installers are skilled in level 4 and level 5 drywall finishes. We ensure you get the best quality and value available for gypsum board installation. We don't subcontract our work. We hire skilled, professional drywall installers and finishers to get the job done right. 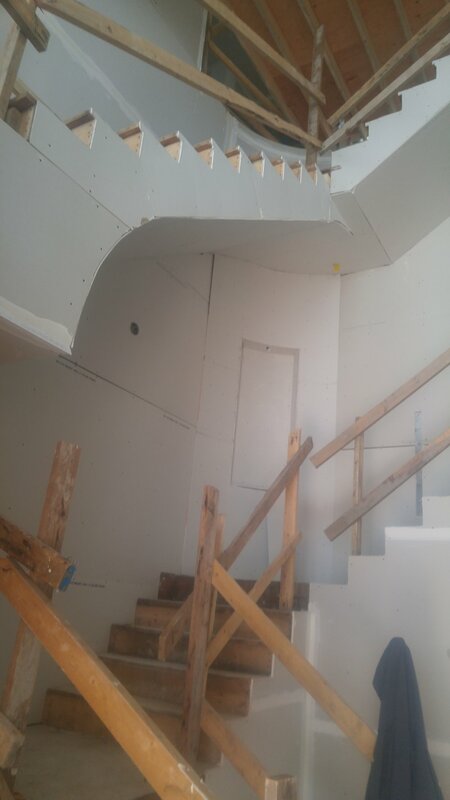 Each job is overseen by Custom Drywall Owner, Boyd Hinch, so our quality is guaranteed on every project. We see each project through from start to finish. Whether you need steel stud framing and insulation, or just our expert drywall hanging and finishing, there's no project too large or small. Contact us today for your free, no obligation quote on your drywall boarding and finishing project.